Dog Rocks stop pet urine ruining your lawn, grass, shrubs and hedging. 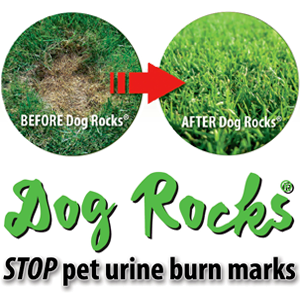 Dog Rocks are 100% natural, proven and hassle free prevention and cure of canine grass burn patches. No medication required, safe for all breeds of dogs and any other pet you share your household with. Dog Rocks were discovered in Australia by an Aboriginal gardener in the 1990s. The product has since been tried, tested, launched and sold into pet, vet and garden centre markets worldwide. Dog Rocks offer a chemical free solution to lawn burn patches. 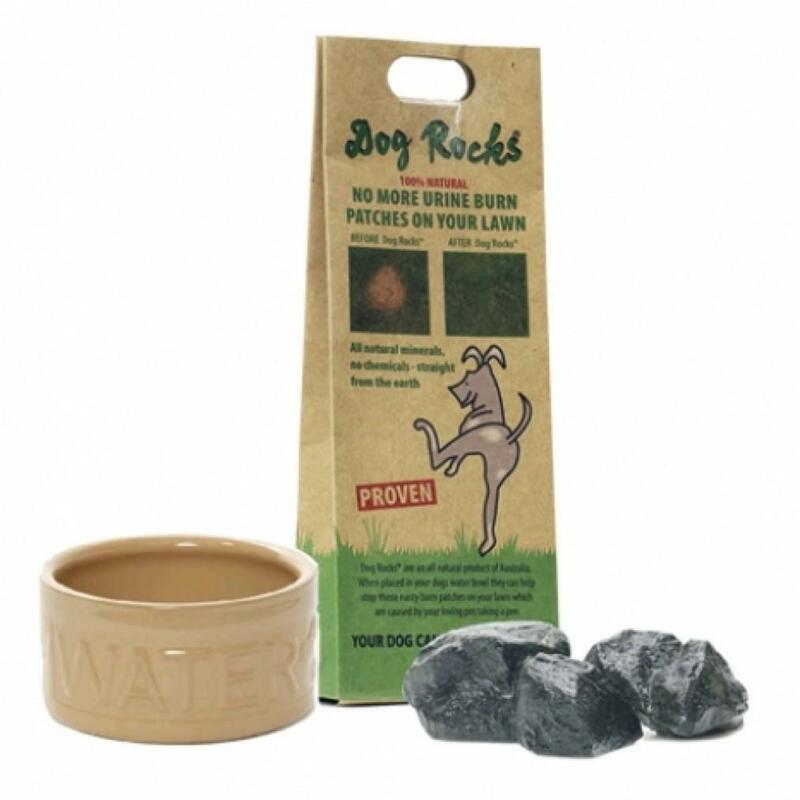 Dog Rocks are all natural minerals, no chemicals, straight from the earth, do not change the PH of the dogs urine and need replacing every 2 months.